Southern Command chief, Eyal Zamir, at a conference for southern residents explained that Hamas is preparing for the next round of fighting. 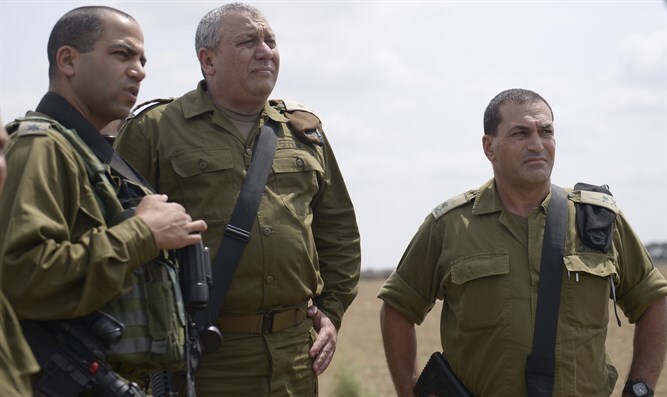 General of the Southern Command, Eyal Zamir, at a conference for southern residents explained that Hamas is preparing for the next round of fighting. Zamir emphasized that, "we have no intentions to make the situation worse but we will react to any shot fired with the appropriate level of force." In the conference, the Major-General said, “in the last decade, and since the withdrawal from Gush Katif and the IDF’s exit from the Gaza Strip, we have had three military operations.” He explained that the past two years have been the quietest, relatively, in the past decade, and they are being used to expand settlements around Gaza. Yesterday an Israeli Air Force fighter jet shot down an unmanned aircraft from the Gaza Strip an army spokesman said. The unmanned craft, believed to be controlled by Hamas, was detected flying along the Gaza coastline.